 Your gift to the Butler County Community Impact Fund with the Butler County Community Foundation allows us to continually respond to the current and unique needs of Butler County. By making this gift, you give us flexibility to fund charitable programs and projects in the community to explore the arts and celebrate diversity, support healthy lifestyles, protect natural resources, educate future generations, preserve the past, build hope for tomorrow, ensure a safe place to live, and improve the quality of life for all. Your gift to the Jeff and Pam Dralle Family Fund with the Butler County Community Foundation allows recommendations for grants to be made each year to support charitable causes that carry out the mission of the Community Foundation. Your gift to the Christian and Ruth Fisher Aplington Library Fund with the Butler County Community Foundation will benefit the library in Aplington, honoring the memory of Christian and Ruth Fisher. Your gift to the Dale and Norma Hassman Family Fund with the Butler County Community Foundation will help the Aplington-Parkersburg Dollars for Scholars award two annual scholarships to Aplington-Parkersburg graduates. Your gift to the Lawrence and Helen Kiehn Memorial Fund with the Butler County Community Foundation allows us to continually respond to the current and unique needs of Butler County. By making this gift, you give us flexibility to fund charitable programs and projects in the community to explore the arts and celebrate diversity, support healthy lifestyles, protect natural resources, educate future generations, preserve the past, build hope for tomorrow, ensure a safe place to live, and improve the quality of life for all.